AT&T went on the defensive following criticism that its FaceTime over cellular policy doesn't live up to the FCC's net neutrality rules, issuing a tersely-worded response Thursday. The carrier claims it's well within its rights to force users into switching to new Mobile Share plans because FaceTime is preloaded with iOS rather than being downloaded from the App Store. It called critics response to the move a "knee jerk reaction," with some rushing to judgement. The service, it said, is transparent and meets the FCC's no-blocking requirement under which no provider can "block applications that compete with the provider's voice or video telephony services." 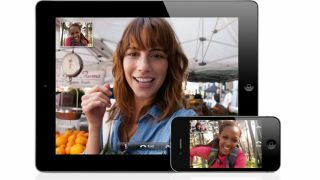 Only last week, AT&T confirmed that iPhone users who wish to use FaceTime over cellular when iOS 6 arrives this fall would have to switch to the new service, which rolls out on Thursday and allows customers to purchase a single bucket of data that can be shared with up to 10 devices. AT&T's assertions of net neutrality compliance have ruffled feathers at Free Press, an organization aimed at reforming media and technology policies. The organization recently launched an online campaign in the hopes it will force the carrier to unshackle FaceTime over cellular from the Mobile Share data plan. "AT&T is inventing words that are not in the FCC's rules in a weak attempt to justify its blocking of FaceTime," S. Derek Turner, research director at Free Press, explained. "The FCC's rules are crystal clear: AT&T is not permitted to block voice or video telephony applications that compete with its own services. There is simply nothing in the rules that distinguishes 'preloaded' applications from 'downloaded' applications. "It is interesting to see AT&T try this line of defense, as it is tacitly admitting that it is both blocking FaceTime and that the app does in fact compete with its own offerings." AT&T also cited "an overriding concern" with the impact FaceTime over cellular might have on its data network as a secondary reason for limiting the service to a specific plan. "If that were true, why should current non-mobile share customers that purchase 3GB of data be blocked from using mobile FaceTime, while customers who purchase the 1GB shared data tier are not blocked?" Turner said, calling AT&T's assertion "ludicrous and contradicted by the facts."